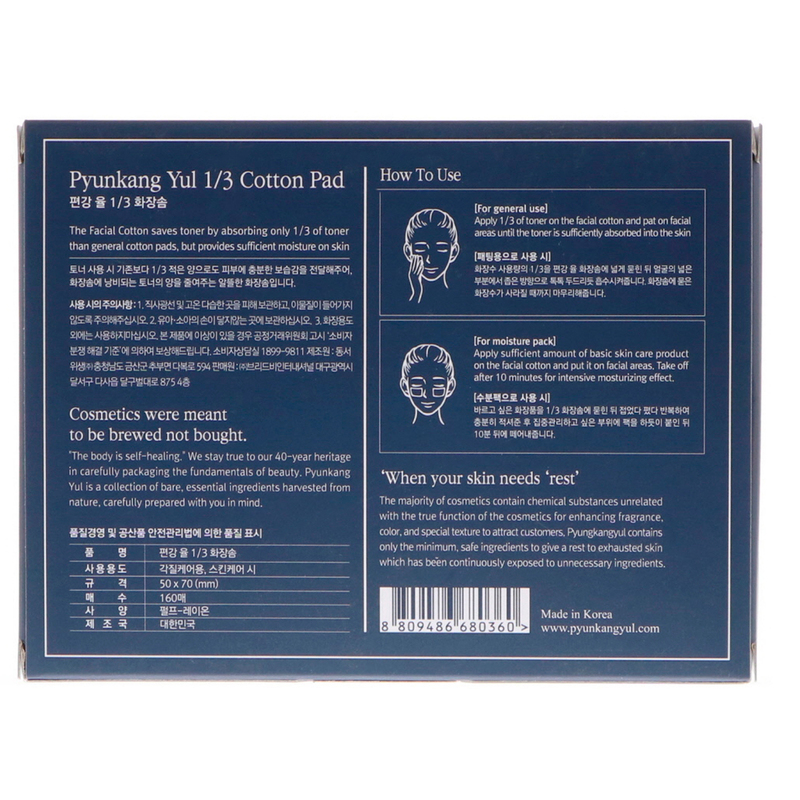 The facial pads saves your toner by preventing the pads to absorb excessive toner. And sufficiently moisturize your skin with less toner. The Facial Cotton saves toner by absorbing only 1/3 of toner than general cotton pads, but provides sufficient moisture on skin. Cosmetics were mean to be brewed not brought. "The body is self-healing". We stay true to our 40-year heritage in carefully packaging the fundamentals of beauty. 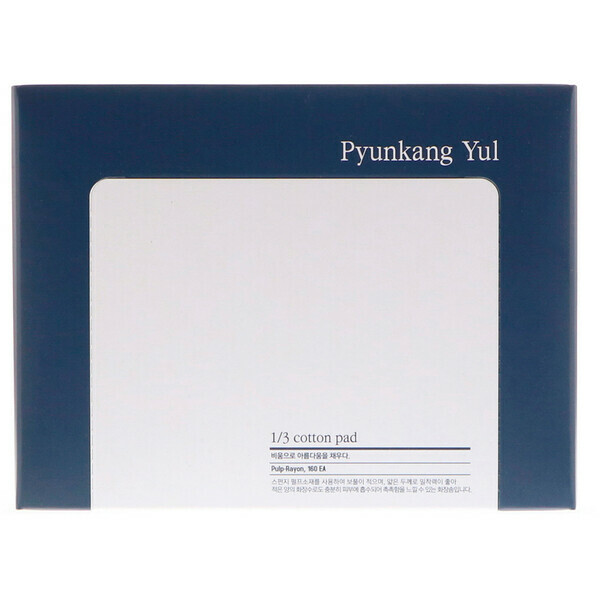 Pyunkang Yul is a collection of bare, essential ingredients harvested from nature, carefully prepared with you in mind. The majority of cosmetics contain chemical substances unrelated with the true function of the cosmetics for enhancing fragrance, color, and special texture to attract customers. 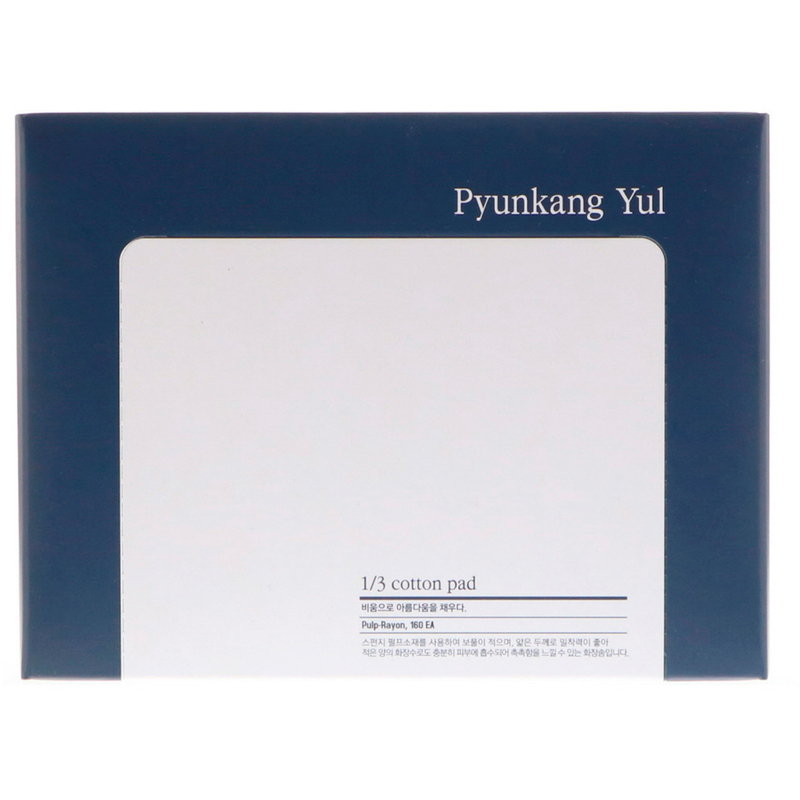 Pyungkangyul contains only the minimum, safe ingredients to give a rest to exhausted skin which has been continuously exposed to unnecessary ingredients. [Usage] After washing your face, pour 1/3 amount of toner than usual onto the facial pads. Gently wipe your face along skin texture. Apply 1/3 of toner on the facial cotton and pat on facial areas until the toner is sufficiently absorbed into the skin. Apply sufficient amount of basic skin care product on the facial cotton and put it on facial areas. Take off after 10 minutes for intensive moisturizing effect. Keep the product out of the direct rays of the sun and high temperature and humidity, and avoid a foreign substance. Do not use the product for other than cosmetic purpose.